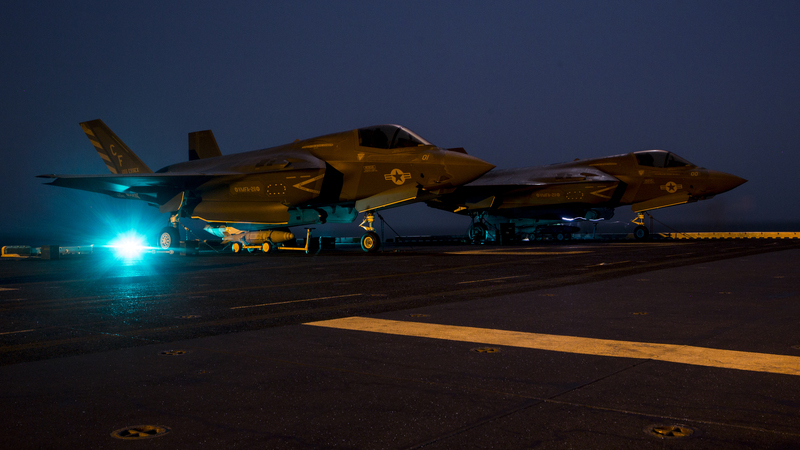 (CNN) — The US Marine Corps' stealth F-35B Lightening fighter jet could fly its first combat mission within days, according to several US defense officials, who told CNN that the fifth-generation aircraft are currently aboard the USS Essex amphibious assault ship and should soon be in a position to conduct airstrikes over Afghanistan. Aaahhh - another Enlightening Story... for the players. That report is 11 months old. There has been a lot of news since then and before about US Forces in Africa - where ever. spazsinbad wrote: That report is 11 months old. There has been a lot of news since then and before about US Forces in Africa - where ever. CJTF-HOA has been in existence for 15-16 years. US Forces 'doing things' in that part of the world shouldnt be a surprise to anyone. (CNN)The US military's F-35B joint strike fighter conducted its first-ever airstrike in the last 24 hours, according to three US defense officials. It's always the range that interest me. What regions are common targets for strikes in Afghanistan? Since ESSEX is in "east Arabian sea", a very big part of Afghanistan is not within the range of F-35B. bayernfan wrote: It's always the range that interest me. What regions are common targets for strikes in Afghanistan? Since ESSEX is in "east Arabian sea", a very big part of Afghanistan is not within the range of F-35B. "The Marine Corps’ F-35B Joint Strike Fighter has conducted its first-ever combat strike, completing a mission in Afghanistan today in support of Operation Freedom’s Sentinel. The jet “conducted an air strike in support of ground clearance operations, and the strike was deemed successful by the ground force commander,” according to a U.S. Marine Corps news release...."
Oh AIR FORCE SPEKE is funni. "​A Marine Corps official speaking on background has officially confirmed to Air Force Magazine that one of its F-35B fighters traveling with the Navy amphibious assault ship USS Essex launched an airstrike in Afghanistan "in the past 24 hours," marking the first known combat strike for any US F-35 strike fighter...."
Last edited by spazsinbad on 27 Sep 2018, 19:46, edited 3 times in total. Take note that the RCS enhancers are still mounted.